Chef Sanjeev Kapoor will be attempting to create a World Record by cooking 800kgs of Khichdi in the World India Food event. Undeniably, khichdi or khichadi is India's favourite comfort food. Identifying how the dish unifies people across the country, Chef Sanjeev Kapoor will be attempting to create a World Record by cooking 800 kilograms of Khichdi on 4th November, 2017 at the India Gate Lawns. The event will be held on one of the days at a three day-long 'World Food India', organized by the Ministry of Food Processing Industries in a bid to popularize and promote Indian cuisines internationally and, "to provide opportunities for both investment and trade in the food processing sector for leading Indian and international companies,". Celebrated Chef Sanjeev Kapoor has been named as the Brand Ambassador of the Great India Food Street and shall be attempting this mega World Record this Saturday. A giant Kadahi of the capacity of 1,000 litres and 7 feet in diameter will be used to steam-cook the mammoth delicacy. While a demand was made to declare Khichdi as the national food, Union Minister of Food Processing Industries, Harsimrat Kaur Badal tweeted clarifying that khichadi is just a record entry at the World Food India event and will not be declared as the national dish of India as speculated. 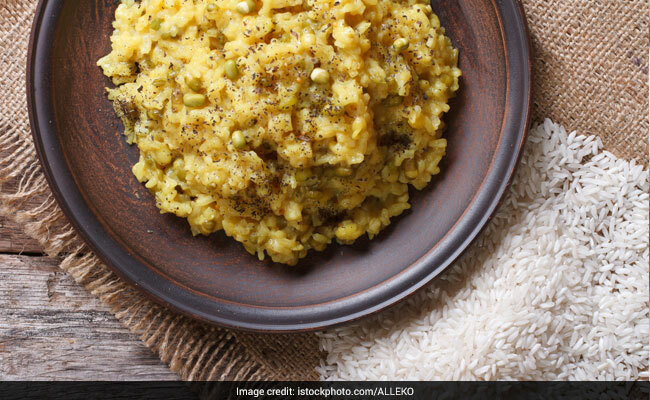 Enough Khichdi cooked up on a fictitious 'National Dish’. It has only been put for a record entry in #WorldFoodIndia. Khichdi is all set to be promoted as the 'Brand India Food' throughout the event. Brand India Khichdi's ingredients and recipe will be popularised by Indian Foreign Missions throughout the world. The speculation about khichdi being declared as the national dish became viral on social media with many people debating on whether or not they support the claim but the Minister of Food Processing clarified that she has received no requests to declare the humble khichdi as the national dish of India. It is one of the most loved dishes in India and the World Record only aims at making it popular on an International level. "Khichdi is the wonder staple food of India and is considered the healthiest prepared food in India, it is being eaten across length and breadth of India by rich and poor," Food Processing Minister Harsimrat Kaur Badal was quoted in a PTI report. According to a latest PTI report, the cooked khichdi will be distributed to about 60,000 orphan children as well as guests present at the event. The khichadi will also be distributed to the Heads of Foreign Missions in India along with recipe.